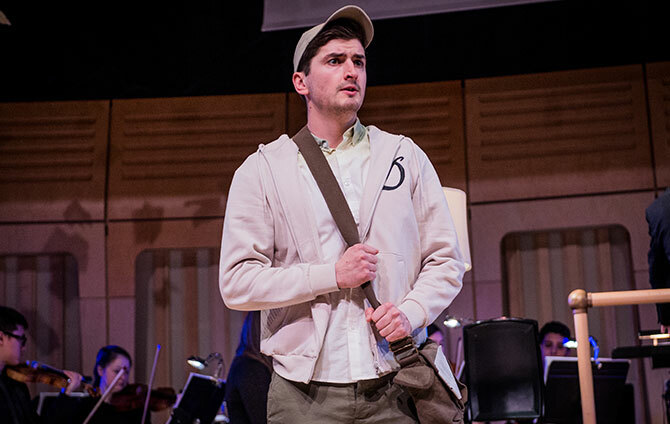 The College’s annual Janet Price Opera Prize took place in the Dora Stoutzker Hall this week. This year, the competition was opened up to include incoming MA Opera students, as well as current first year MA Opera students. The other finalists were Sophie Dicks, Claudia Wood, Ben Smith, Felicity Turner. 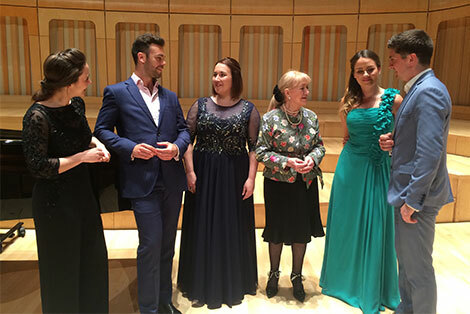 Each of the finalists performed a 15-minute programme which had to include an aria in the bel canto tradition, a Mozart aria and a German Lied or French Art song. Welsh soprano Janet Price, who was also one of the judges, has established this annual prize to support the advanced training of young opera singers. As part of the awarding criteria, the judges were looking for a voice with potential for development, and strength to meet the rigours of a singing career, as well as an affinity with language to convey the many varied emotions embedded within the music. I was delighted with the standard of singing in the 2018 Janet Price Opera Prize – the students all rose well to the occasion. We all felt that Huw demonstrated a lovely free sound, which he used wisely and sensitively to produce sincere and musical performances showing much promise”. 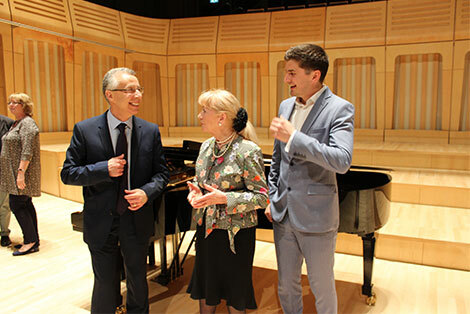 Judges also included Cardiff Singer of the World Artistic Director David Jackson, and the College’s Head of Opera Angela Livingstone, and Director of Music Dr John Cranmer.